Every now and then a photographic essay of exotic destinations showcases the wonderful colours to be experienced in those locales. Bermuda is a bit gipped, really, since the island is not featured. 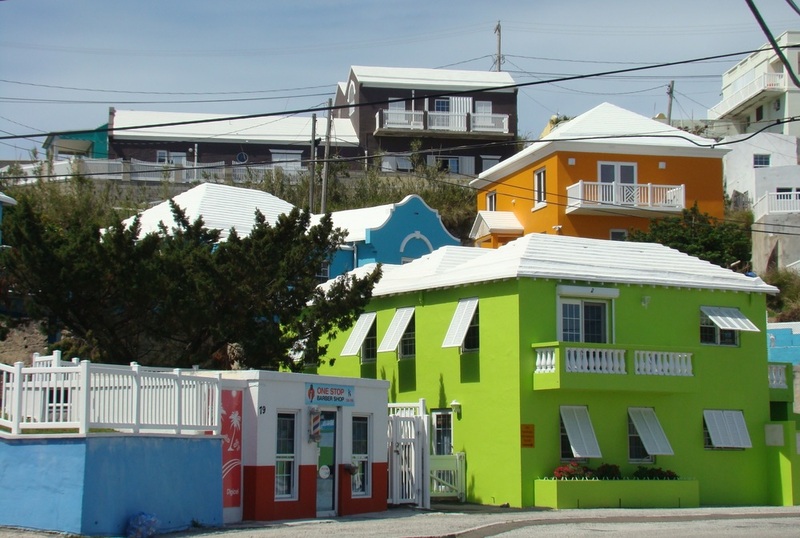 Even without the obligatory photo of a beach with sparkling turquoise water, Bermuda fair screams colour! This corner of Bermuda proves it. Joyful treasures in the Town of St. George to be appreciated even through these amateur photos. 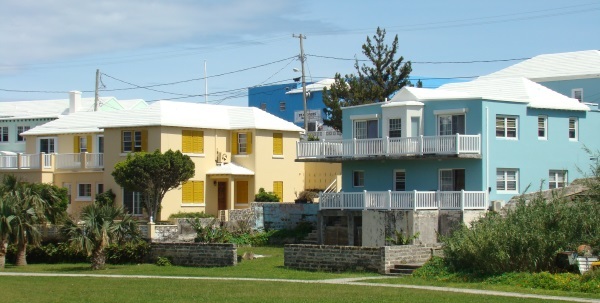 Cohousing is a concept foreign to Bermuda but one that is worth looking at again. 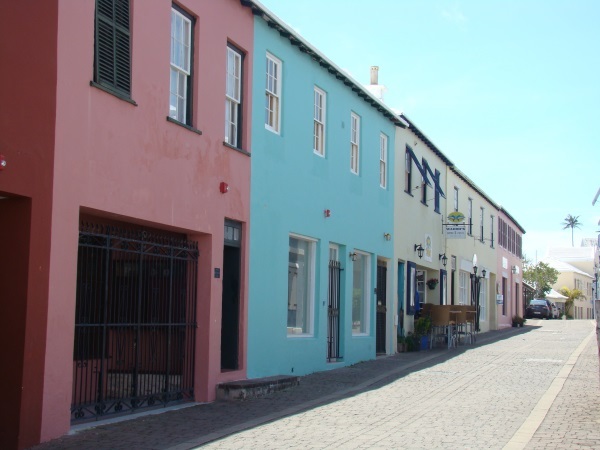 'Again' suggests Bermudians considered it at all when, in reality, I keenly researched it back in the nineties but appeared to be alone in my interest. The topic came up recently, when (and this happens when you reach a certain age) friends asked us if, in retirement, we would consider some form of communal living. The discussion centred on private accommodation around a square of some sort where we could keep an eye out for each other but not actually live together. We like these friends but not that much. After dispensing with the term 'commune', which has unfortunate Koolaid connotations, I realised we were being asked to ponder a form of cohousing. A familiar form of residential development in Denmark, Sweden and, to a lesser extent, USA and UK, cohousing communities are made up of groups of families or couples living in self-sufficient private residences but who access and use shared facilities as well. 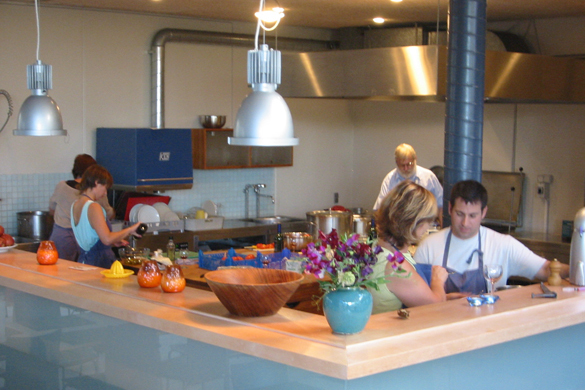 The key component of cohousing is a Common House with a kitchen and dining facilities where everyone can share an evening meal, have community meetings and generally socialise. Links between residences are important too, as the notion of watching out for each other is a primary reason for living in a cohousing set up. Other shared facilities can comprise playgrounds, laundry facilities, workshops and guest accommodation. 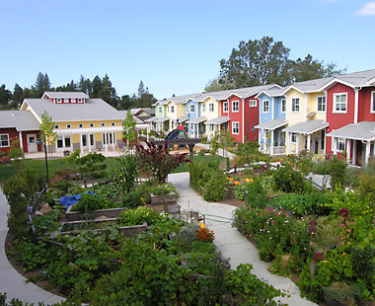 Cohousing is something Bermuda should investigate. It could be an alternative to traditional assisted living situations or as a (new to us) way of building healthy and sustainable communities. 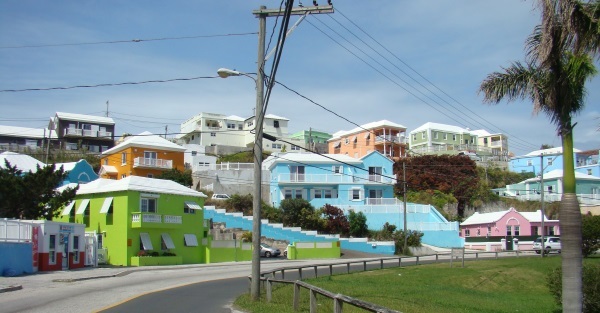 It seems there is a shockingly slow realisation in Bermuda that we have left for development the difficult sloping sites. Everyone recognises "the easy sites are gone" but the natural conclusion to that statement doesn't seem to be uttered: "and we are stuck with the nasty hillsides!" It would be funny except it's true. I grew up in a house with no front yard. There was no front yard because the house sits on a hillside and the only way my father could create a front yard was by spending ridiculous amounts of money on unsightly retaining walls. Even if he'd had the money, which he didn't, my grandfather the stone mason would have stopped him from being such a complete biscuit. blair house, image: jbennett fittsIn the western world front yards generally came about because of setbacks between houses and roadways - some mandated, some not - in the early 19th century. The purposes varied from allowing for a garden or avoiding the tenement look of urban areas to ensuring space for socialisation or, conversely, privacy. With the space established, regulations as to what could happen or be placed in the space later sprang up. Yes, you can have a garden gnome; no, you may not erect a basketball hoop. Yes, you can grow flowers; no, you cannot grow tomatoes. Go figure. It is probably past time, in Bermuda, to assess whether that front yard is really necessary. There are innovative hillside design solutions that result in wonderful, spacious houses where entertaining is fun and easy, parking is not a problem and there is no need to own a lawn mower. Architect Bruce Bolander designed such a house in Malibu, California and it is featured in an article by Erika Heet, Up and Away, in Dwell magazine. Built on caissons, this compact house of 900 square feet has ample area for living, working and entertaining. By the way, the house I grew up in has an enormous front balcony. I never felt I was missing anything due to the lack of a front yard.